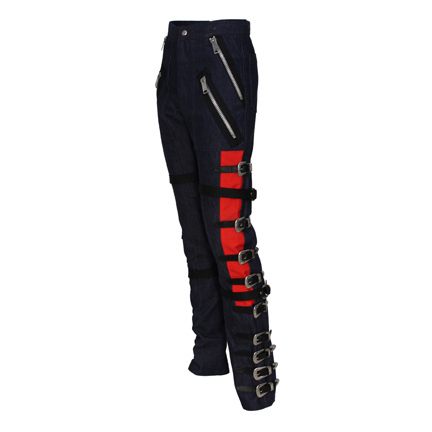 These blue and red pants were custom tailored for the legendary King of Pop, Michael Jackson. 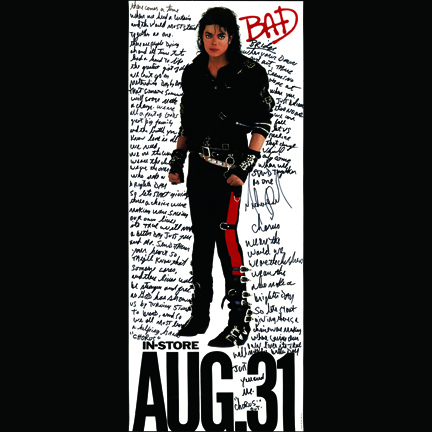 Mr. Jackson had the garment built to his unique specifications by Western Costume Company while developing the concept for the “Bad” album cover photo shoot. 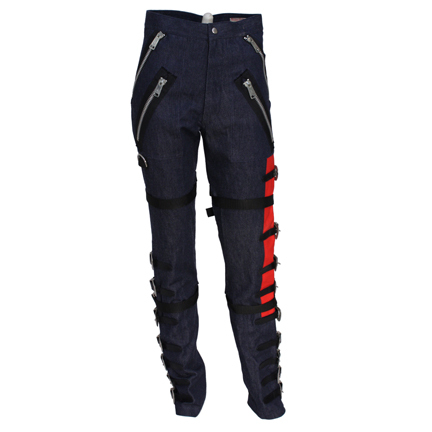 These pants are prototypes for the actual pants worn by Mr. Jackson for the finalized “Bad” album cover and poster designs. 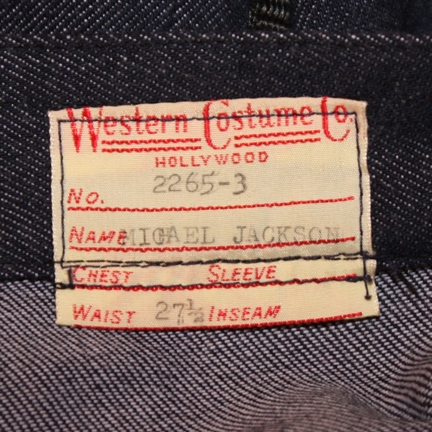 The garment was hand made for Mr. Jackson by Western Costume Company’s head tailor Ruben Rubalcava and the interior of the pants has the original Western Costume Company tag sewn inside with the name “Michael Jackson”, waist size “27 & ½” and the W.C.C. 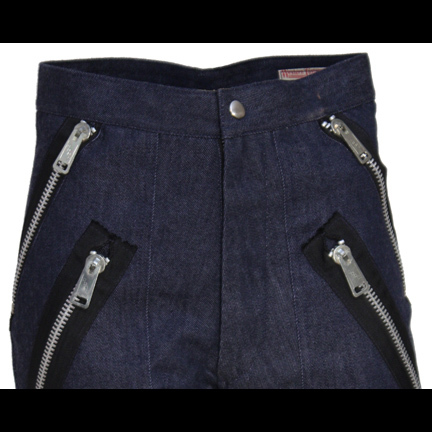 “Made To Order” number “2265-3” clearly typed. 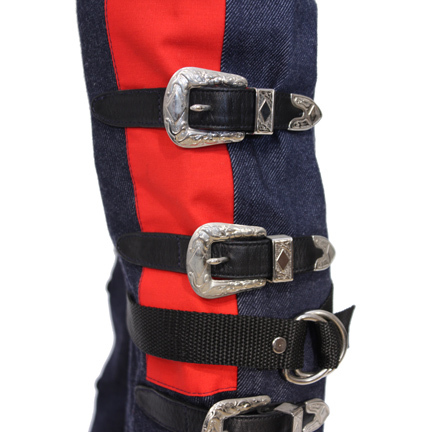 The garment is constructed of blue denim with red cloth panel on the right leg, and features multiple buckles and zippers that were integral to Mr. Jackson’s image during that period of his career. 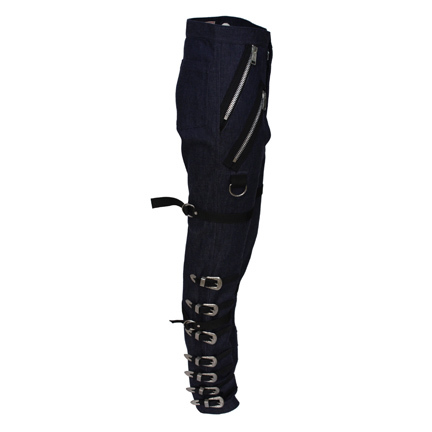 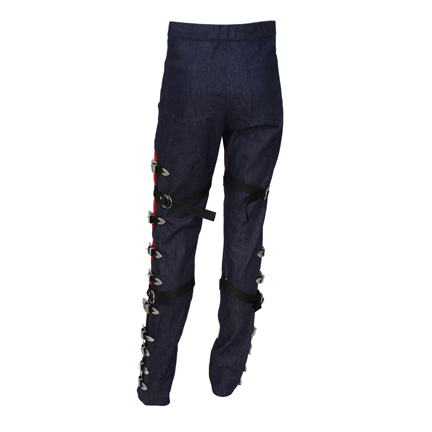 The pants have four diagonal oversized zippers on the front, nine leather straps with Western style buckles and two nylon straps on the left leg, and seven leather straps with Western style buckles and two nylon straps on the right. 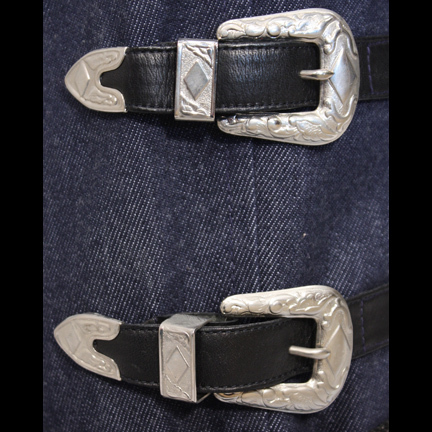 The garment is in excellent condition and perfectly captures his signature “Bad” look that had such a profound effect on the fashion and style of the era.